The Chamber is the leading organization dedicated to the success of business in Sonoma County. It was been voted Best Chamber of Commerce in the 2011 NorthBay biz Readers Poll. It is a business and professional networking organization whose primary purpose is to exchange business referrals. It is the largest networking organization in the world. We meet weekly for a business lunch. Visionary Builders is a full-service general contracting company, specializing in bath and kitchen remodels, building additions and repairs, including plumbing and electrical. Our goal is to take care of your repair and remodel needs in a timely, cost-effective manner. Our company is a general contractor in Santa Rosa, California, providing the full spectrum of contracting services. 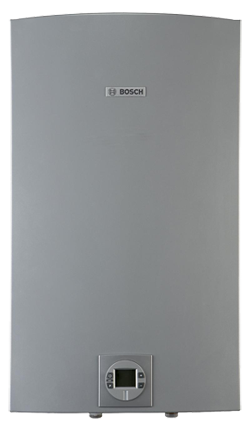 We are licensed specialists in the installation of tankless water heaters. We are fully lincensed and insured. At Visionary Builders, we offer many services to fit the needs of all home and commercial owners. It is our goal to provide quality service as we strive to meet our client's visions and expectations. Whether you need a bathroom remodel, window installations, electrical or plumbing repair, or a full scale home or office renovation you can count on us to get the job done. Robert DeWan's (L) Visionary Builders donated contracting services and materials to help remodel one of the YWCA's domestic violence safehouse kitchens in Sonoma County. His team worked with the Soroptimist International of Windsor project to transform the outdated kitchen with a small eating area into an efficient space where women and children could gather to interact and share meals in a much more pleasant atmosphere.